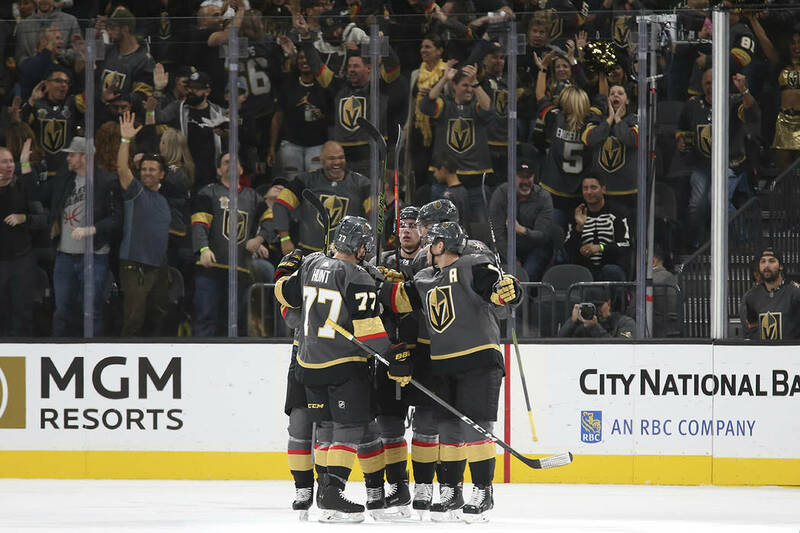 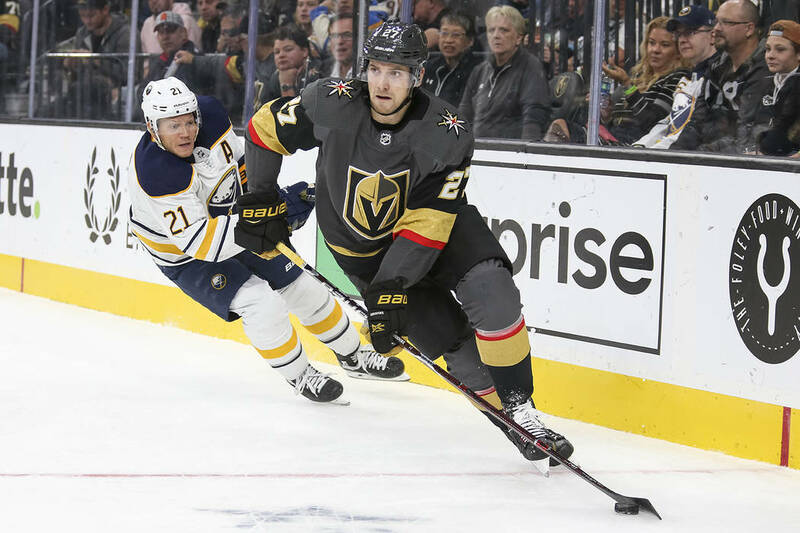 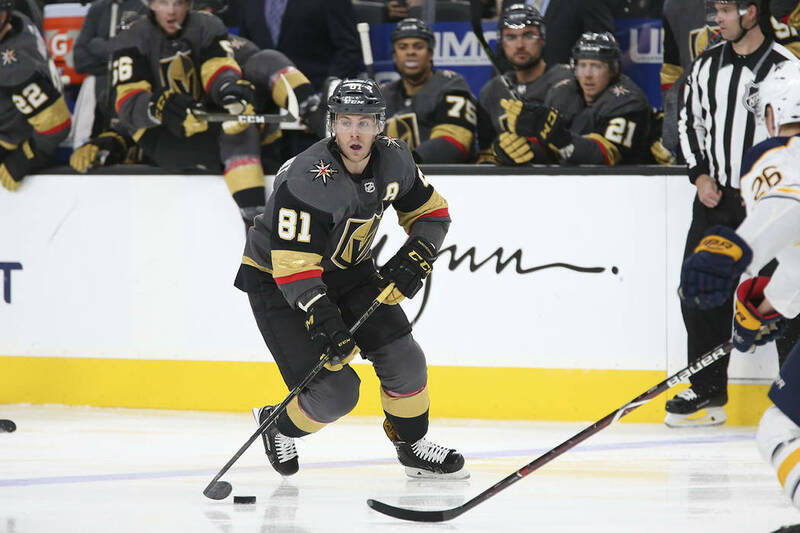 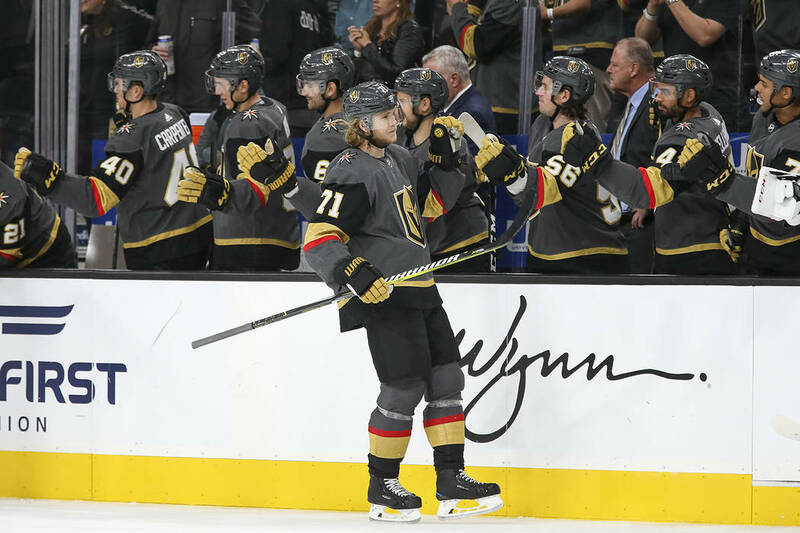 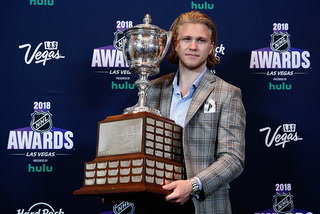 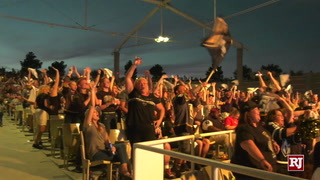 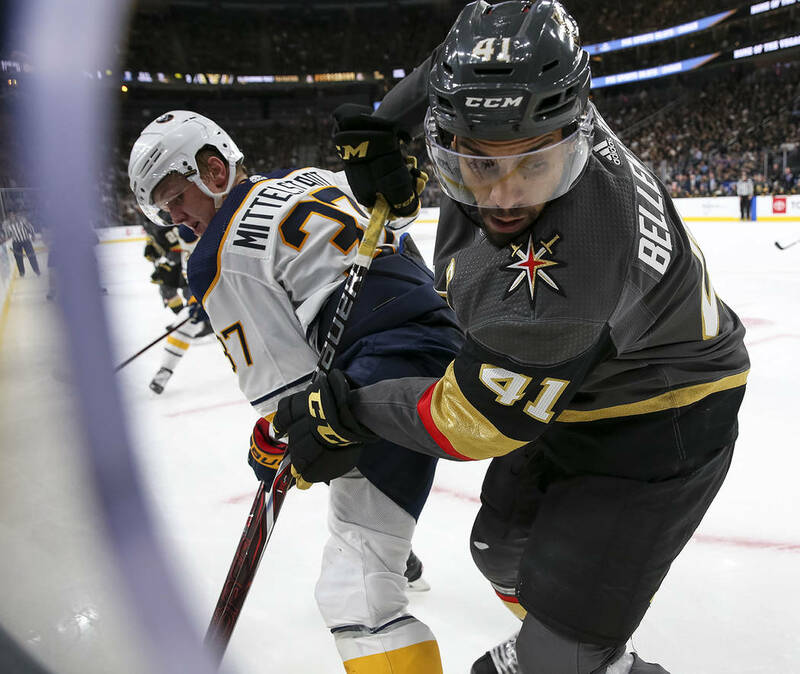 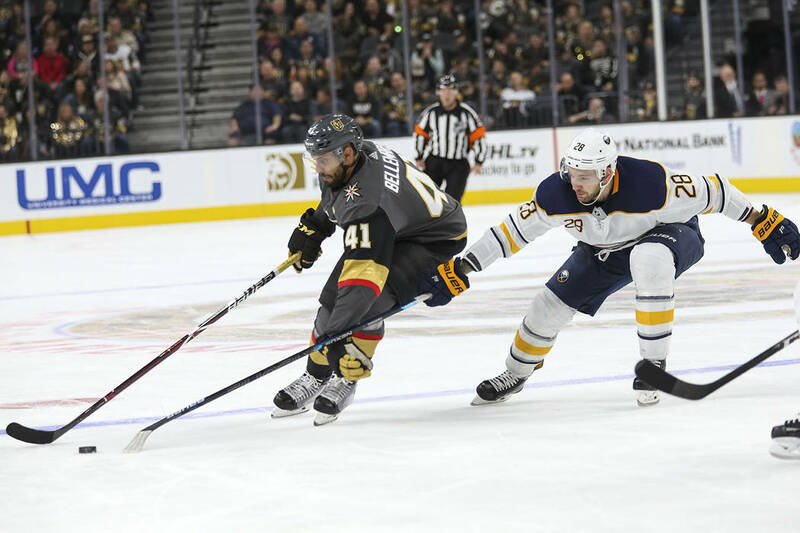 William Karlsson had three points, including his first goal of the season, and Jonathan Marchessault added two goals in the Golden Knights’ 4-1 victory over Buffalo on Tuesday at T-Mobile Arena. 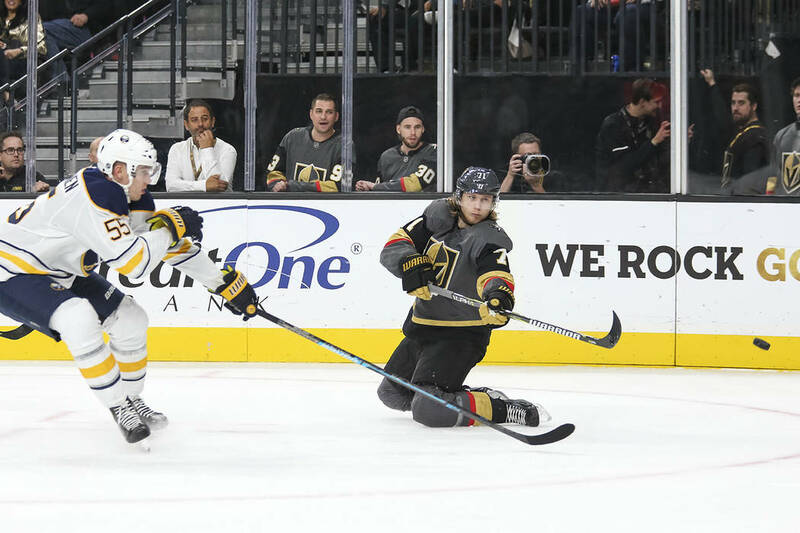 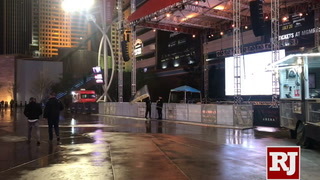 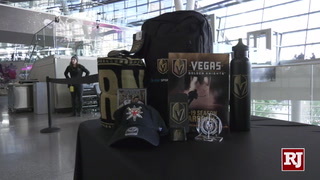 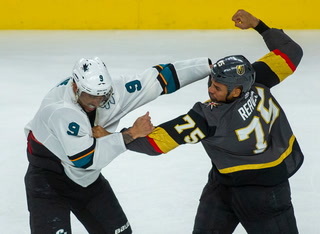 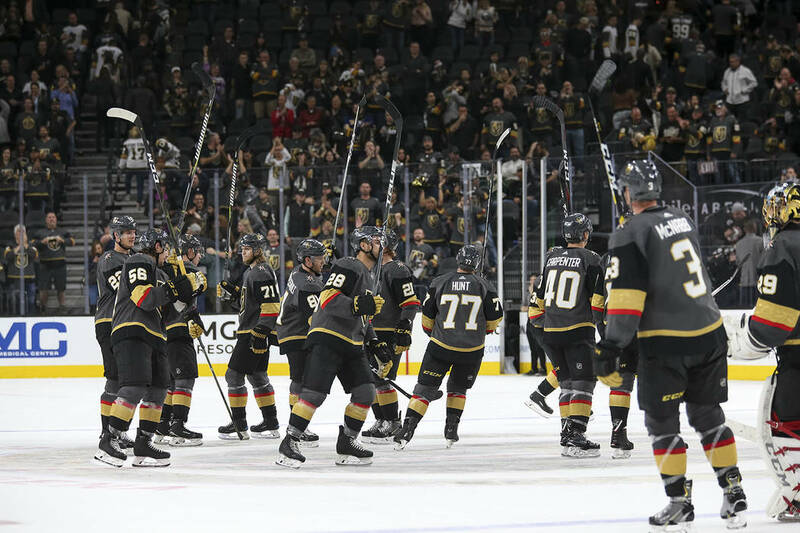 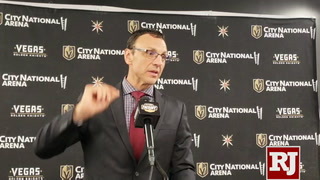 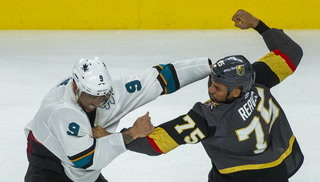 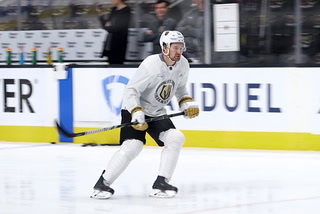 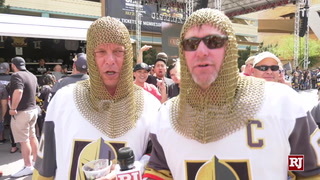 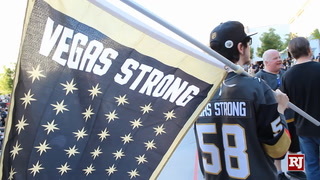 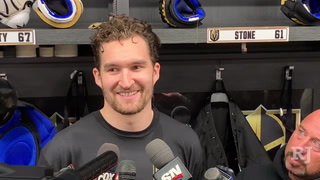 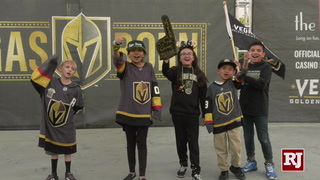 The Golden Knights returned home from their extended road trip and found their special teams waiting for them when they got back to T-Mobile Arena on Tuesday night. 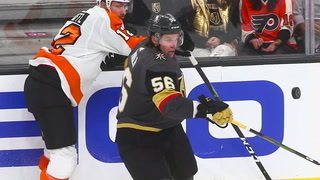 It helped spark the team’s best all-around effort of the young season by a wide margin. 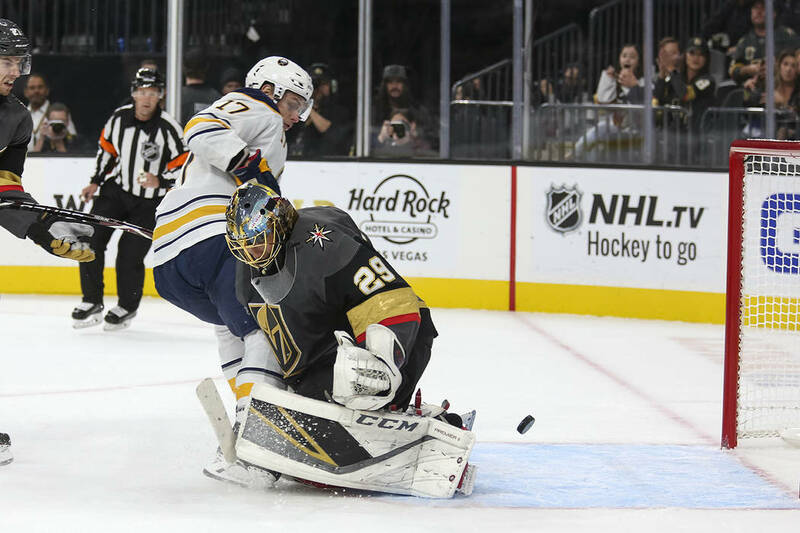 Jonathan Marchessault scored the Knights’ first power-play goal of the season in the first period and Cody Eakin added a short-handed goal in the second as the Knights won their second straight game with a 4-1 win over the Sabres. 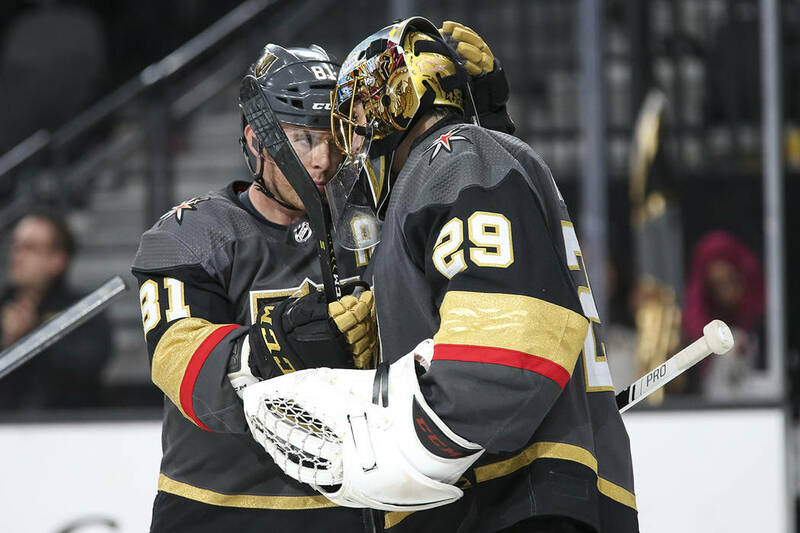 The two early goals were more than enough for Marc-Andre Fleury, who was once again spectacular in net. 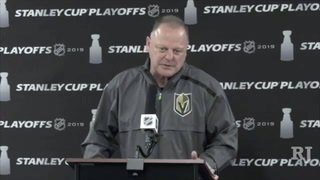 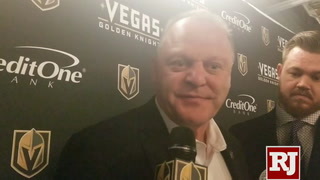 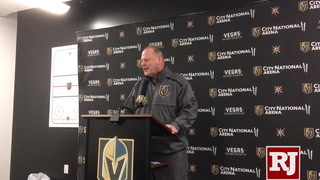 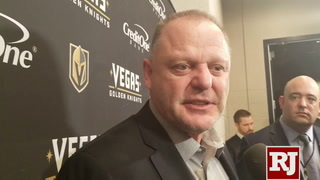 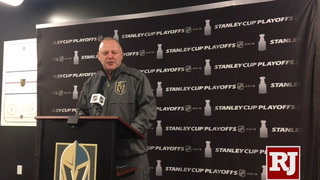 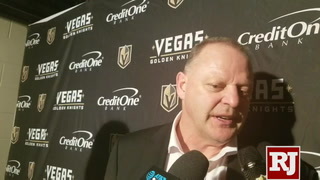 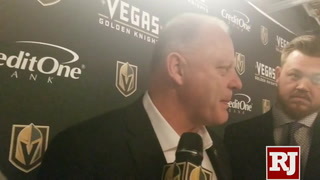 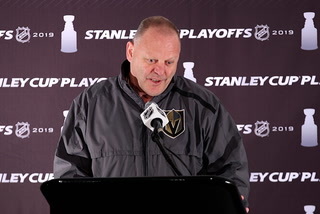 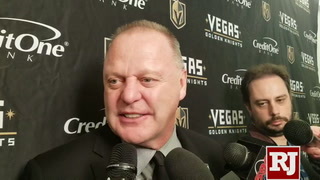 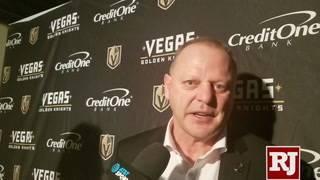 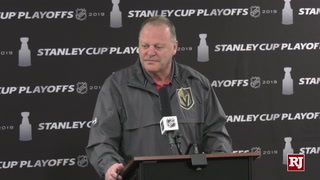 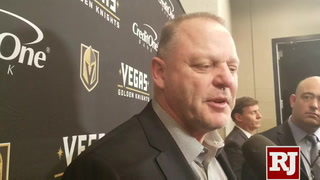 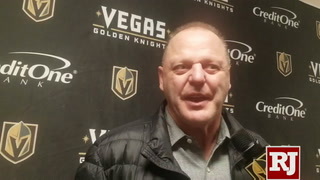 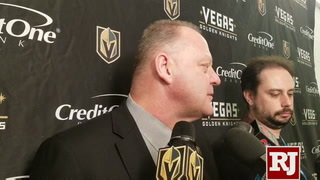 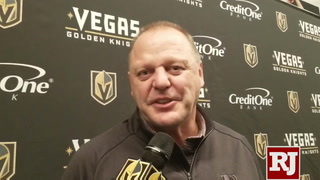 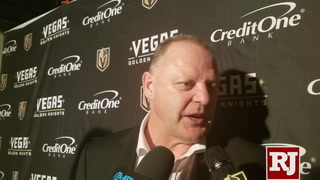 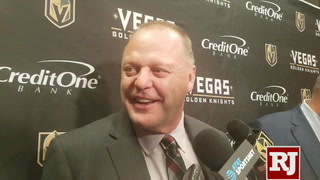 “We played a real good solid hockey game,” coach Gerard Gallant said. 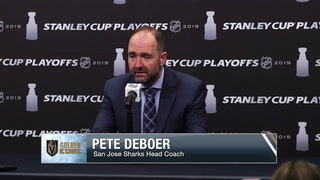 “I thought we were the better team for most of the night. 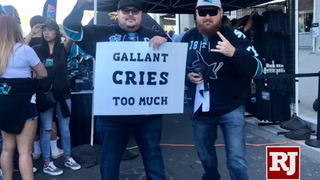 I saw a lot of things we’re going to have to do the rest of the year. 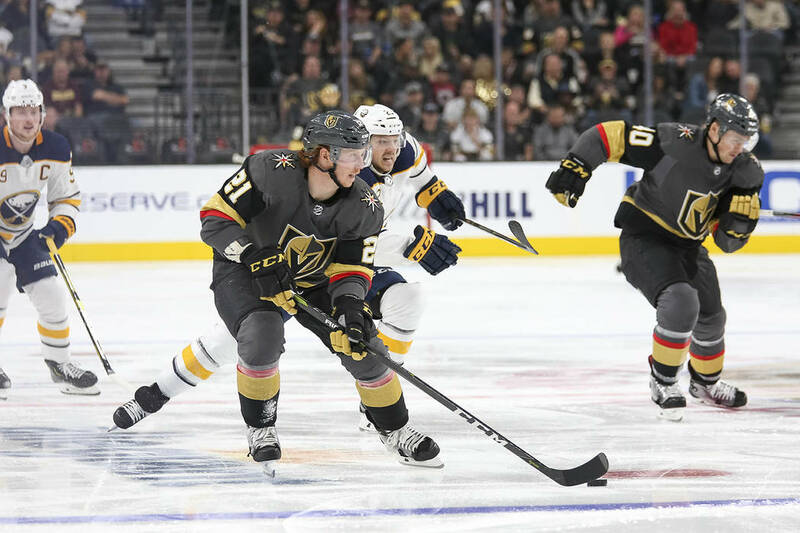 Marchessault’s goal snapped a long stretch of futility on the man-advantage for the Knights, who had 16 opportunities in the first six games without converting on a single one. 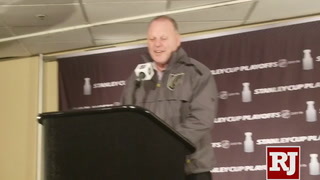 “It’s always good to get that first one,” Gallant said. 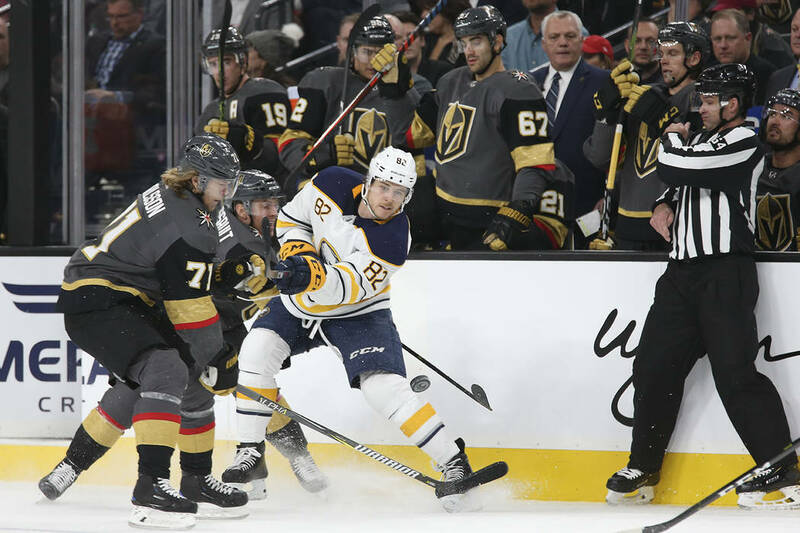 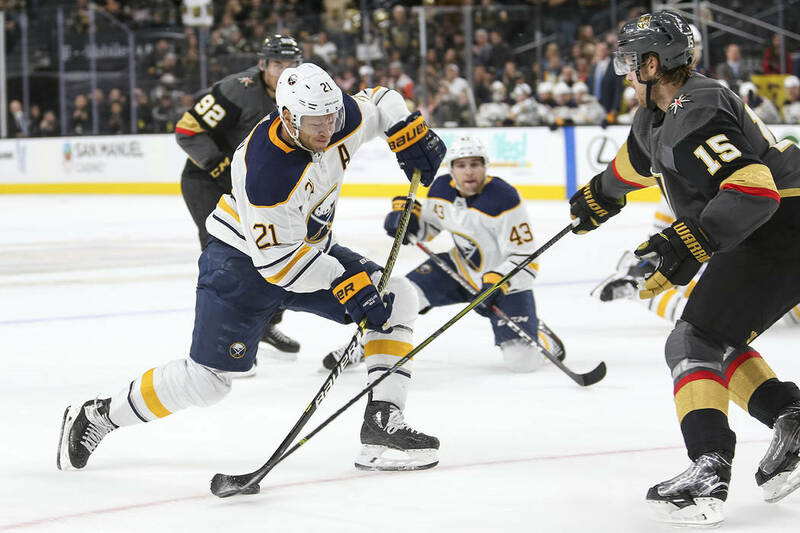 The penalty kill was just as good as the Sabres failed to convert on any of their six opportunities and the Knights took advantage of the momentum to impose their will on the Sabres in all aspects of the game. 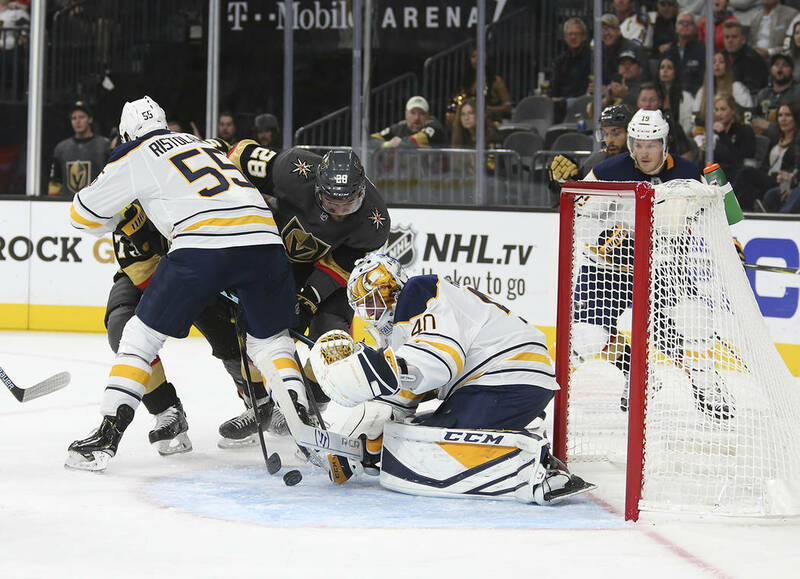 William Karlsson added another insurance goal early in the third period before the Sabres scored with an extra attacker to spoil what would have been Fleury’s second-consecutive shutout. 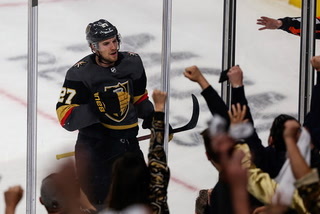 He has now surrendered a total of just two goals in his three victories this season, but he didn’t have to do it all on his own. 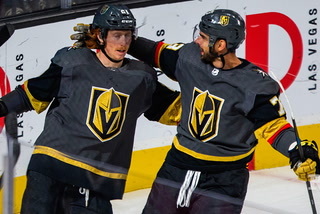 The Knights allowed just five shots on goal in the first period and 27 in the game. 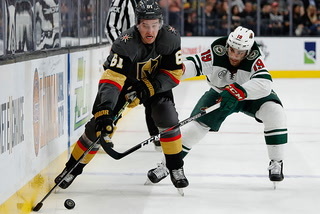 They did a particularly good job limiting the kind of high-danger chances that were so prevalent on the road trip. 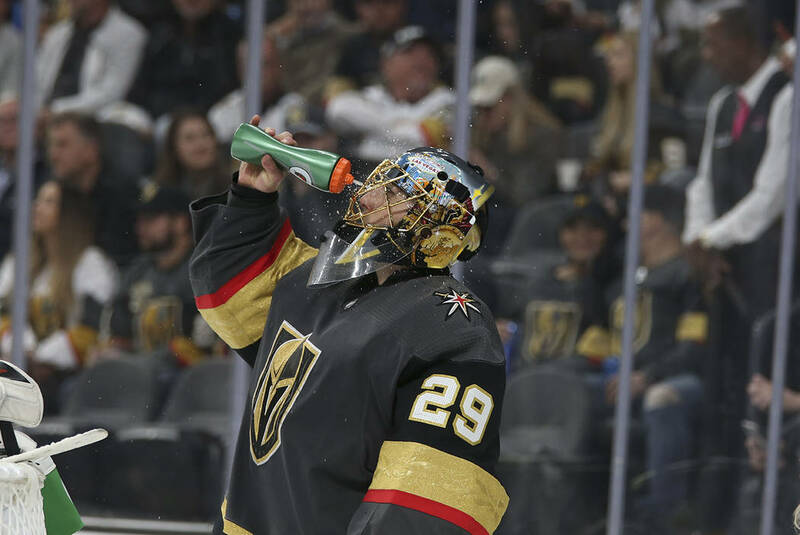 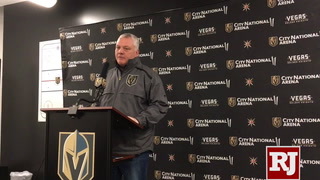 “Those are sometimes not the easiest when you don’t have many shots,” said Fleury, who earned his 407th win to a move into a tie for 10th-place on the all-time list with Glenn Hall. 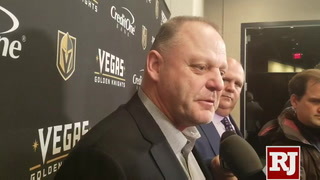 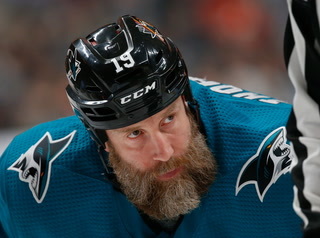 “I think that first period was a quiet one. 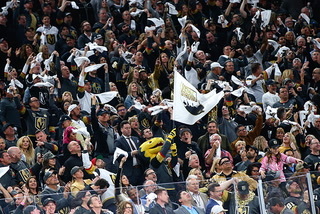 I just try to follow the game and sing songs between whistles. 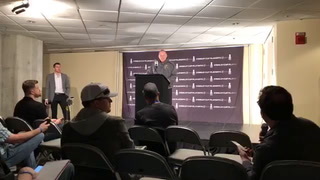 Whatever to stay moving or active. 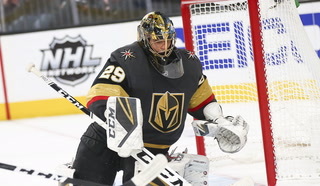 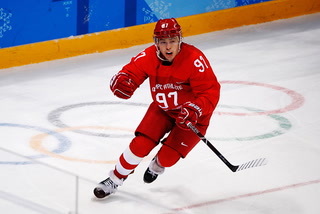 Buffalo got on the board with 37 seconds remaining in the game when Vladimir Sobotka forced a rebound past Fleury. 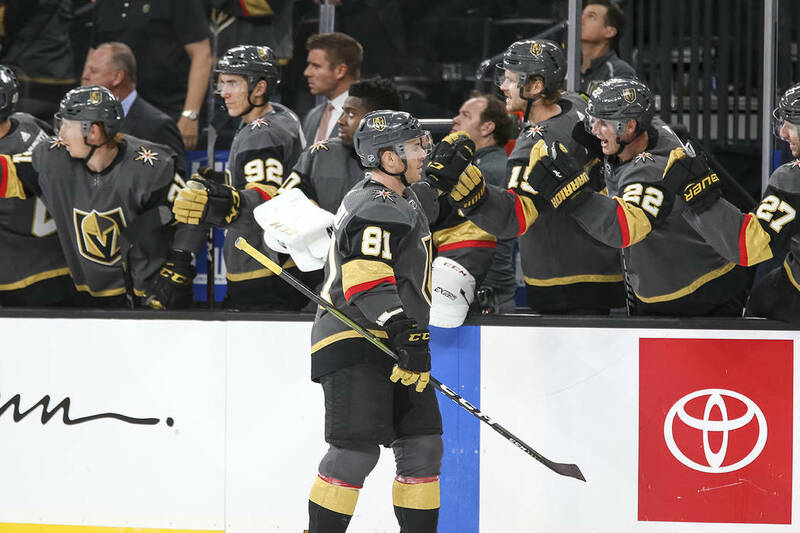 Marchessault tacked on an empty-net goal 24 seconds later. 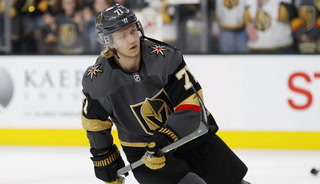 Karlsson and Reilly Smith each had two assists. 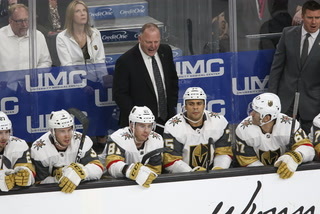 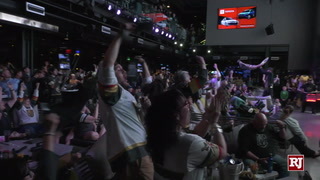 The Knights thought they were on the board midway through the first period only to have a goal overturned by replay for the second time this season. 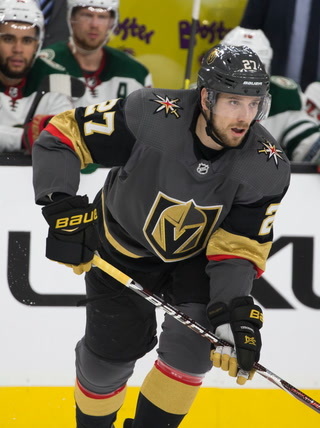 Shea Theodore carried the puck from the defensive zone all the way down the ice before juking rookie phenom Rasmus Dahlin and beating Carter Hutton on an outstanding individual effort. 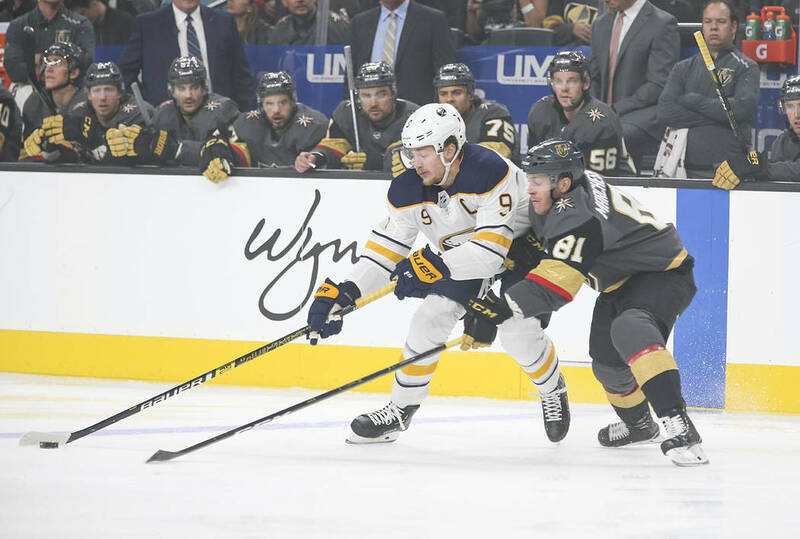 The Sabres challenged the play and Max Pacioretty was ruled offside on the opposite side of the ice. 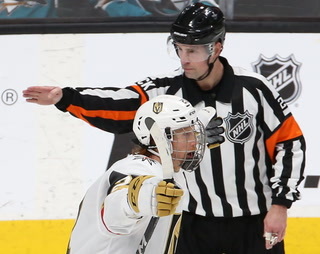 Pacioretty had a goal disallowed in the third period against the Capitals. 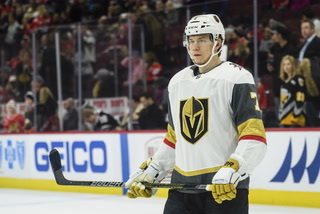 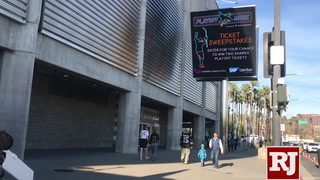 The Knights continue their five-game homestand on Saturday when they host Pacific Division-leading Anaheim at 7 p.m.